Posted on July 3, 2012 by Thomas D. Shults, Esq. On June 29th, the Circuit Court in Leon County dismissed with prejudice an election contest complaint challenging the qualifications of Barack Obama to receive his party’s nomination for President. The plaintiff’s challenge was based upon an allegation that President Obama was not a “natural-born citizen” within the meaning of Article II, Section 1 of the United States Constitution. The court based its order in part on the inapplicability of the election contest statute, Fla. Stat. 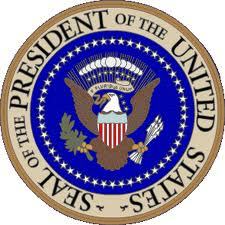 102.168, to nominations for the Office of the President of the United States. The court also concluded that the plaintiff’s allegation that Obama was not a natural-born citizen because his father was a citizen of the UK was without merit. The court left open the possibility, however, that the “[p]laintiff could perhaps contest the election if the candidate is successful”. This entry was posted in Candidate qualifications, Election contests, Litigation Updates, News and tagged Candidate qualifications, florida election attorney, Florida election contest, Florida election controversy, Florida election disputes, Florida election law, Florida election lawsuit, florida election lawyer, Florida election suit, obama birth place, obama citizen, Thomas Shults, Tom Shults. Bookmark the permalink.